Print this Halloween Disney coloring picture and make it sparkle! Add colors and some glue and glitter to create a cool and fun piece of art to hang in your room. 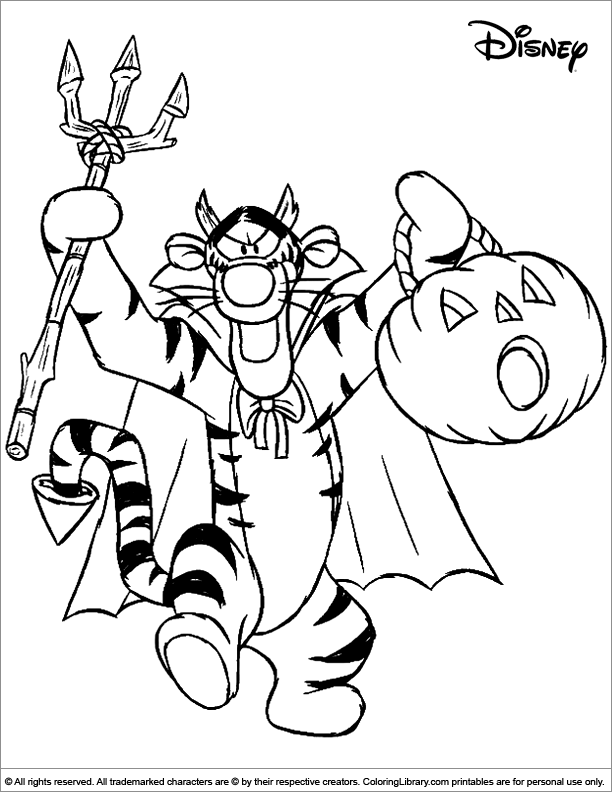 Coloring Library has a great collection of Halloween Disney coloring pictures you can print. You will find a lot more Halloween Disney pictures in the coloring library.